Publisher's note: This volume of Liz Partrick's "Disappearing South" will be the first of many here in the pages of BCN. Liz is an old friend of mine, yet not quite as old, and certainly more youthful in vigor than this curmudgeon, yet, alas, she has asked me to collaborate with her in presenting her fine pictorial by scribbling the bit of text that you may read here. To be honest, I may be having almost as much fun in my part as Liz did taking the photos. I just bet we will hear from Liz at some point beyond the communication of her message via lens. Homes are many things to many people: the repository of memories good and bad; the shelter that sustains us, shields us when we are laid bare; it is indeed a component at the core of our very being. The stories told within these many walls are numerous, frivolous, poignant and incredible. It is not only the story of the crumbling frame structures, but the lives that those structures nurtured over their many years of service. 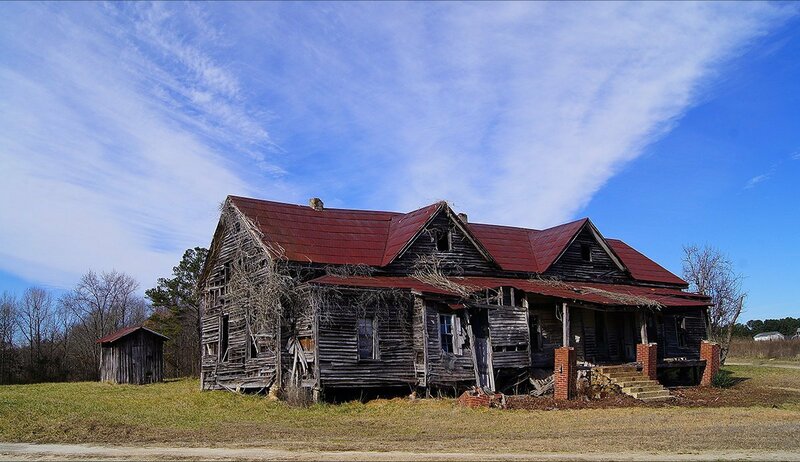 And, no where else in the South, actually anywhere in our relatively young nation, can we find a better symbol of our diminishing and disappearing past than the crumbling home, spread far from the core of towns and cities ... Or, can we find them there too? 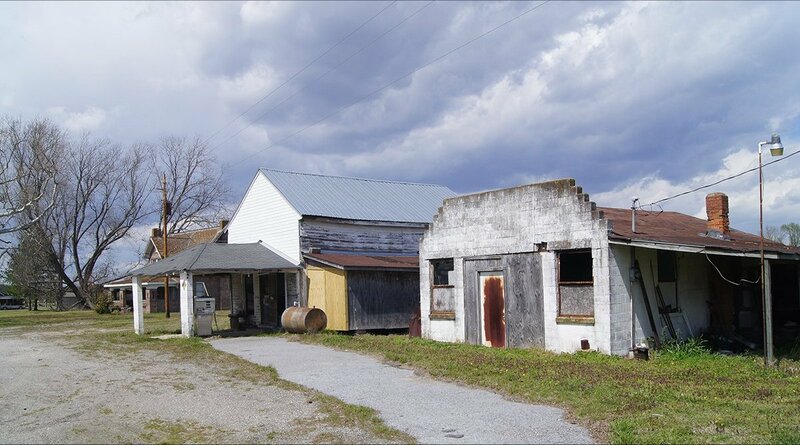 Regardless, our pictorial treatise in this inaugural volume deals exclusively with rural North Carolina - from the eastern Piedmont to the Outer Banks. This is Volume I; there will be more. 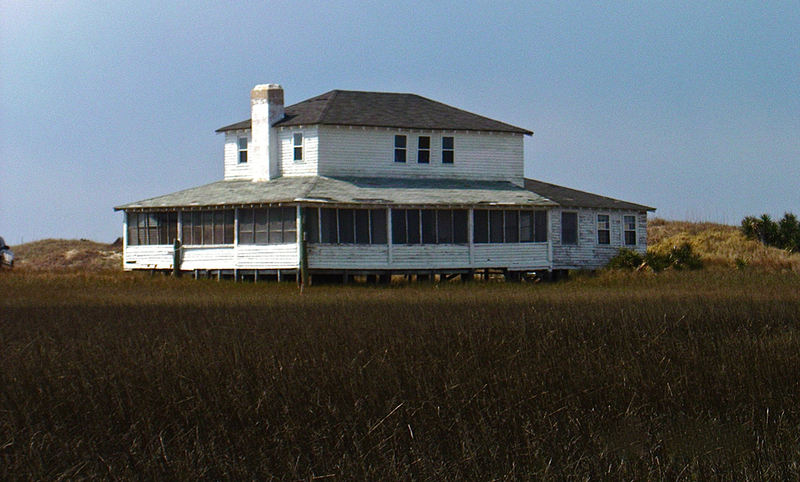 Rural Beaufort County is no exception to the degradation of structures that have long passed their familial purpose. We have more than our share here Down East. 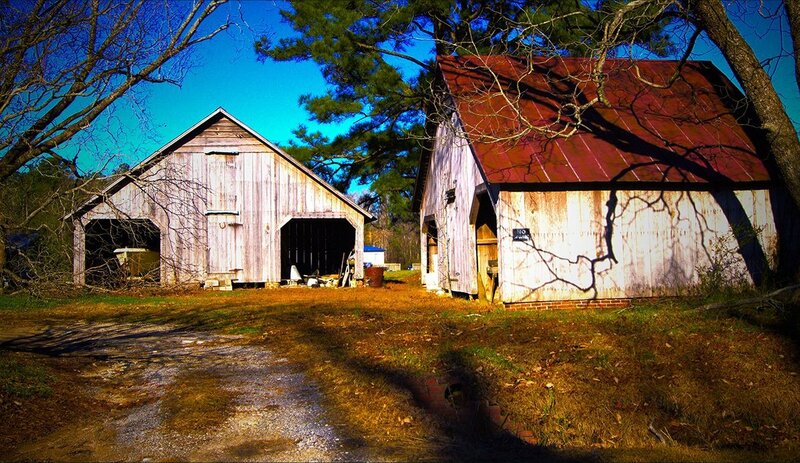 I often wonder will those family stories live on longer than the dying homes and barns: Above and below. photos by Liz Partrick Click images to expand. Beaufort County, split by the Pamlico River, and bound by the Pungo River to the northeast is one of the rare geographical jewels of northeastern North Carolina. The water, the fauna and the flora combine as a co-dependent entity of ocular splendor. One needs to only find the time to experience it. This silent house, very much resembling the tenant homes of yore, appears possibly to still be in service: Above. 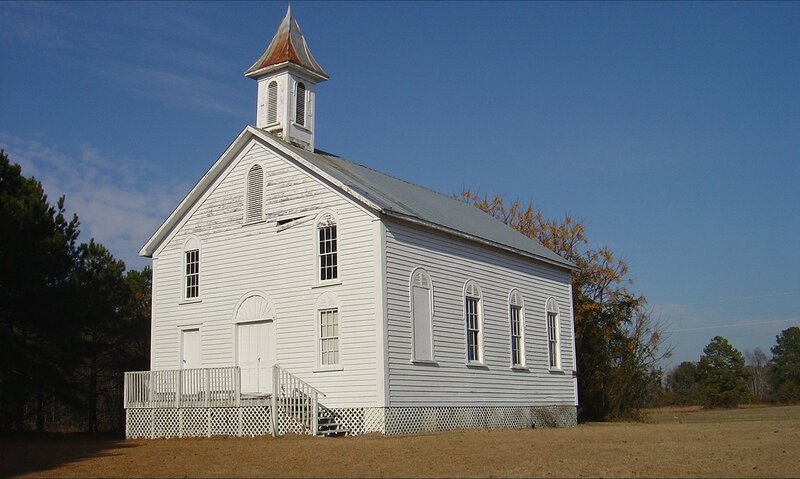 Close to where all tenant homes were near to country churches, not unlike the Holly Church: Below. photos by Liz Partrick Click images to expand. From the Jewel of North Carolina's northeast to a more sparkling jewel in central east North Carolina - Cape Lookout, Carteret County - offers a unique portal to the outer banks, Core Banks. 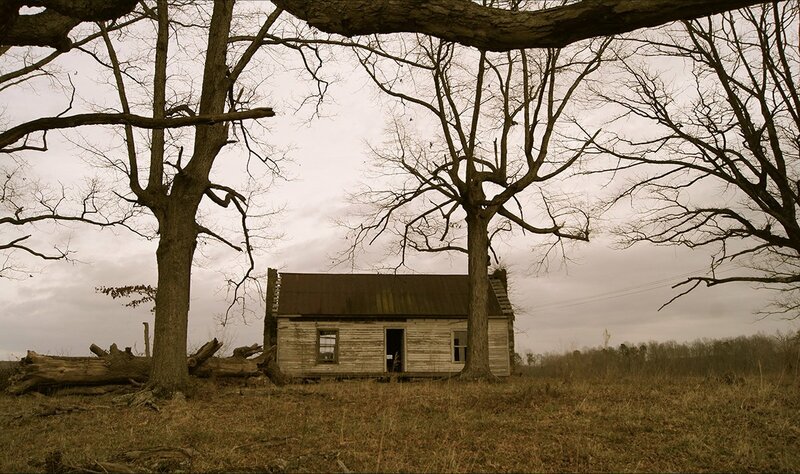 From this old frame home languishing on the silent island of no modern roads, Porstmouth, above; to this hill top shack in the eastern Piedmont of Franklin County, below; we have a complete picture of yesteryear through the eyes of one lens. photos by Liz Partrick Click images to expand. 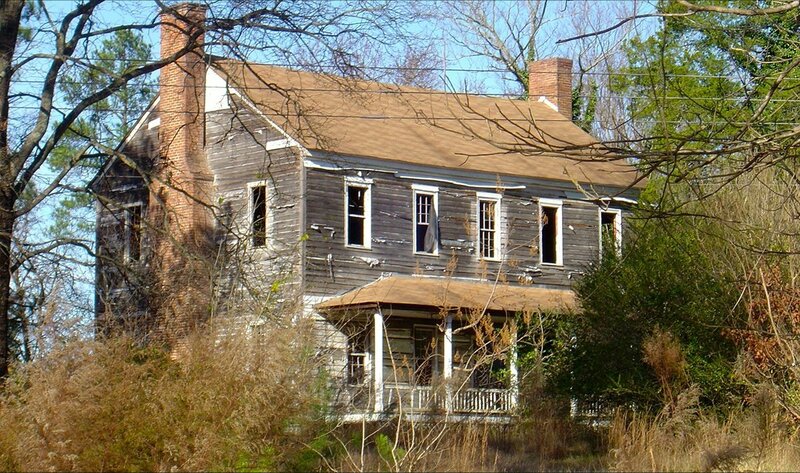 From the Piedmont back to the Coastal Plain, houses once loved are falling into near irrevocable disrepair. Another Franklin County home, this one a countrified Victorian languishes in disregard: Above. 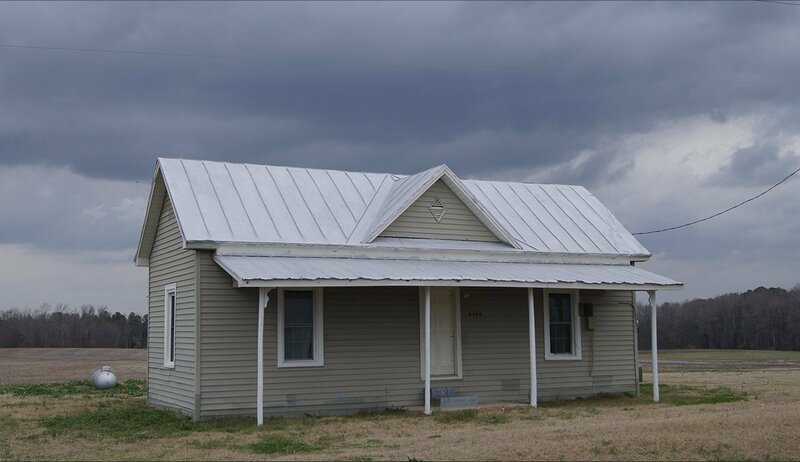 And this Antebellum in Green County is no 'Spring chicken': Below. photos by Liz Partrick Click images to expand. 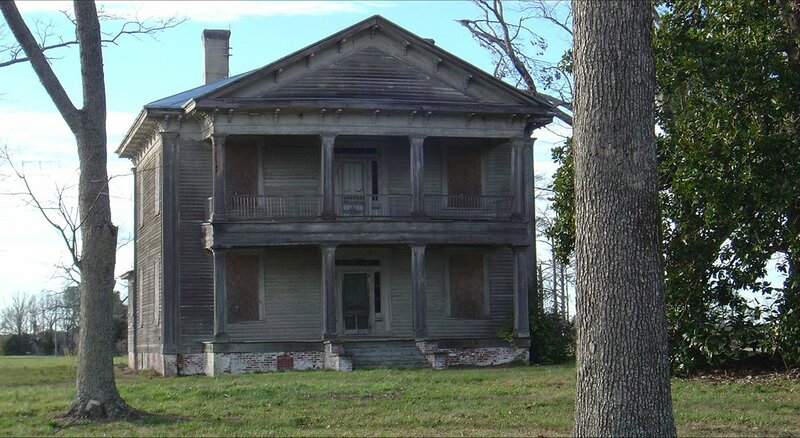 Eastern North Carolina never knew the way of the large plantations, so few Antebellum homes exist in any state of repair here Downeast, but much history remains, and it is written in these homes. 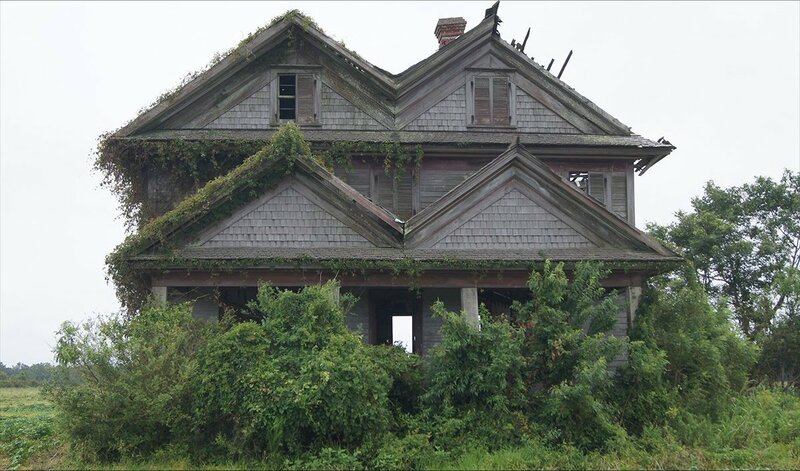 This old Victorian home in Hyde County raised a few generations: Above. 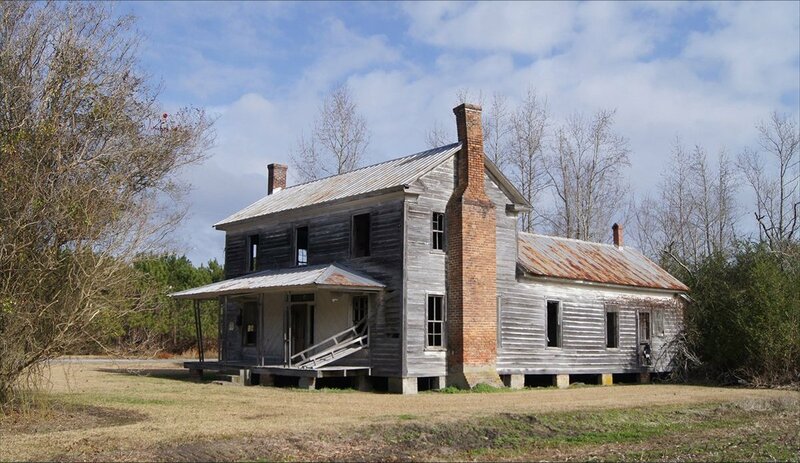 While this Pinetown hovel in Beaufort County saw commerce, which did support many families in its day: Below. photos by Liz Partrick Click images to expand. 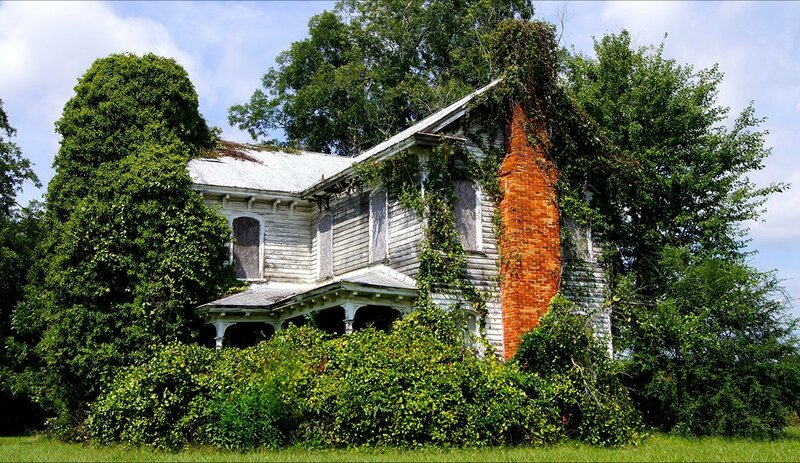 The theme of the degradation of The South, by the symbolic and most essential loss of structures, of all architectural classes, is a plight that is as generational in its devolution as it was generational in its evolution, which in turn made The South part of what it is today, and part of what it will never be again. Life struggles on, and The South will endure, but only as a faint picture of what it was, and what it will never be again. We finish with these two country homes in Wake County, long since past their prime, one ivy encrusted Victorian: Above. and this neo Colonial: Below. photos by Liz Partrick Click images to expand. Publisher's note: All images in this publication were taken by Liz Partrick, text by Stan Deatherage.